Russian pilot cosmonaut 1960-1982. Cancelled missions included command of first Soviet circumlunar flight in 1969 and first military space station mission in 1973. Status: Inactive; Active 1960-1982. Born: 1934-05-30. Spaceflights: 2 . Total time in space: 7.02 days. Birth Place: Listvyanka, Kemerovo. Leonov was originally educated as an artist at the Academy of Arts in Riga. He enlisted into the Soviet Air Force, attending pilot prep school in Kremenchug, and graduated with an honors diploma from the Chuguyev Higher Air Force School in 1957. He was selected in the first cosmonaut group, completing cosmonaut training March 1960 - 3 April 1961. He first flew in space on Voskhod 2, becoming the first man to walk in space. He was to have been commander of first circumlunar L1 crew in early 1969, and of the first crew to the Salyut DOS-3 (Cosmos 557) space station in May 1973, but both missions were cancelled. He finally flew again in the Apollo-Soyuz joint mission in 1975. Thereafter he was off flight status, but served as Chief Cosmonaut. After retiring, he became president of the American Alpha Capital investment corporation in Moscow. Leonov was married with two children. An athlete his entire life, he enjoyed swimming, water skiing, and parachute jumping. He was noted for his fine art. His paintings and sketches, predominately of space themes, have been widely published and exhibited. Family: Cosmonaut. Country: Russia. Spacecraft: Vostok, Voskhod. Flights: Vostok 5, Vostok 9, Vostok 10, Voskhod 2, Soyuz 7K-L1 mission 1, Soyuz 10, Soyuz 11, Soyuz 12 / DOS 1, Soyuz 12 / DOS 2, Soyuz 12 / DOS 3, Soyuz 19 (ASTP). Projects: ASTP, Lunar L1, Salyut. Agency: VVS. Bibliography: 4452, 5684. 1934 May 30 - . Birth of Aleksei Arkhipovich Leonov - . Nation: Russia. Related Persons: Leonov. Russian pilot cosmonaut 1960-1982. Cancelled missions included command of first Soviet circumlunar flight in 1969 and first military space station mission in 1973. 2 spaceflights, 7.0 days in space. Flew to orbit on Voskhod 2 (1965), Soyuz 19..
1963 June 14 - . 11:58 GMT - . Launch Site: Baikonur. Launch Complex: Baikonur LC1. LV Family: R-7. Launch Vehicle: Vostok 8K72K. Vostok 5 - . Call Sign: Yastreb (Hawk ). Crew: Bykovsky. Backup Crew: Leonov, Volynov. Payload: Vostok 3KA s/n 7. Mass: 4,720 kg (10,400 lb). Nation: Russia. Program: Vostok. Class: Manned. Type: Manned spacecraft. Flight: Vostok 5. Spacecraft: Vostok. Duration: 4.96 days. Decay Date: 1963-06-19 . USAF Sat Cat: 591 . COSPAR: 1963-020A. Apogee: 131 km (81 mi). Perigee: 130 km (80 mi). Inclination: 64.90 deg. Period: 87.10 min. Joint flight with Vostok 6. The Soviet Union launched Vostok 5 , piloted by Lt. Col. Valery F. Bykovsky. Two days later Lt. Valentina V. Tereshkova, the first spacewoman, followed in Vostok 6 . On its first orbit, Vostok 6 came within about five km of Vostok 5 , the closest distance achieved during the flight, and established radio contact. Both cosmonauts landed safely on June 19. The space spectacular featured television coverage of Bykovsky that was viewed in the West as well as in Russia. Unlike earlier missions, only a black and white film camera was carried. Photometric measurements of the earth's horizon were made. Mission objectives were officially: further study of the effect of various space-flight factors in the human organism; extensive medico-biological experiments under conditions of prolonged flight; further elaboration and improvement of spaceship systems. Vostok 5 was originally planned to go for a record eight days. The launch was delayed repeatedly due to high solar activity and technical problems. Finally the spacecraft ended up in a lower than planned orbit. Combined with increased atmospheric activity due to solar levels, Vostok 5 quickly decayed temperatures in the service module reached very high levels. Bykovsky also experienced an unspecified problem with his waste management system (a spill?) which made conditions in the cabin 'very uncomfortable'. He was finally ordered to return after only five days in space. To top it all off, once again the Vostok service module failed to separate cleanly from the reentry sphere. Wild gyrations ensued until the heat of reentry burned through the non-separating retraining strap. 1963 December 9 - . Plans for cosmonaut training - . Nation: Russia. Related Persons: Beregovoi, Katys, Komarov, Leonov, Rudenko, Sidorenko, Volynov. Flight: Soyuz 3. Rudenko proposes that three very experienced officers be recruited as cosmonauts, given one spaceflight each, then be appointed to manage cosmonaut training. This will provide qualified managers, which cannot be recruited from among the ranks of the cosmonauts themselves. To this end Beregovoi, Sidorenko, and Katys are interviewed. Rudenko wants Beregovoi to fly first. Kamanin agrees with the general concept, but not with giving Beregovoi the next flight. Volynov, Komarov, and Leonov have been waiting for a flight after completing two years of training, and should fly next. VVS role in space - . Nation: Russia. Related Persons: Artyukhin, Belyayev, Beregovoi, Brezhnev, Demin, Katys, Korolev, Leonov, Ponomaryova, Rudenko, Shatalov, Solovyova, Tereshkova, Volynov. Program: Voskhod, Lunar L1. Flight: Voskhod 3, Voskhod 4, Voskhod 5. Spacecraft Bus: Soyuz. Spacecraft: Soyuz A.
Kamanin visits Korolev and tells him that in an upcoming meeting between the cosmonauts and Brezhnev and Kosygin, they are going to push for the VVS to be given a leading role in the exploration of space, including the necessity to improve the cosmonaut training centre with 8 to 10 simulators for Voskhod and Soyuz spacecraft, and development within the VVS of competence in space technology. Korolev is not opposed to this, but says he doubts the VVS leadership will support acquiring the new mission. Kamanin then indicates to Korolev his proposed crews for the upcoming Voskhod missions: Volynov-Katys, Beregovoi-Demin, Shatalov-Artyukhin. Kamanin hopes that Korolev will support Volynov as the prime candidate against Marshall Rudenko's favouring of Beregovoi. Kamanin then raises the delicate issue of Korolev's unfavourable opinion of Tereshkova. After her flight, Korolev angrily said: "I never want to have anything to do with these women again". Kamanin does not believe his remarks were meant seriously, and broaches the subject of training Soloyova and Ponomaryova for a female version of Leonov's spacewalk flight. Korolev says he will seriously consider the suggestion. Vostok 11 (cancelled) - . Crew: Leonov. Payload: Vostok 3KA s/n 13. Nation: Russia. Related Persons: Leonov. Program: Vostok. Flight: Vostok 11. Spacecraft: Vostok. Apogee: 200 km (120 mi). Perigee: 180 km (110 mi). Inclination: 65.00 deg. Vostok flight first proposed in November 1962 flight to conduct extra-vehicular activity tests. All follow-on Vostok missions were cancelled in Spring 1964..
1965 November 16 - . Cosmonaut travels - . Nation: Russia. Related Persons: Belyayev, Leonov, Tereshkova. Tereshkova is back from Japan; next she is to go to Italy on 21 November, then Denmark on 25 November. She is exhausted - Kamanin proposes sending Belyayev and Leonov to Denmark in her place..
Tsybin birthday party - . Nation: Russia. Related Persons: Korolev, Leonov, Tsybin. Over 70 space program leaders celebrate Tsybin's 60th birthday at OKB-1. Kamanin and Korolev have cooled down a bit after their argument the day before. Kamanin and Leonov are preparing for a trip to the Soviet Far East on the 28th of December..
1966 February 2 - . Voskhod parachute system - . Nation: Russia. Related Persons: Gagarin, Leonov, Smirnov, Tkachev. Program: Voskhod. Flight: Voskhod 3. Spacecraft Bus: Vostok. Spacecraft: Voskhod. Smirnov again questions the chief designers about the reliability of the parachute systems developed by Tkachev. The VVS remains troubled as to the reliability of these systems. Recently the system has been tested at Fedosiya to increase its rating to 2900 to 3200 kg for use on Voskhod-3. Three parachutes in these tests suffered rips during deployment. The Voskhod-3 capsule will weigh 3000 kg. Tkachev says he will guarantee its safety, but VVS and LII specialists do not share this optimism. Leonov, Gagarin, and various cosmonauts ask Kamanin to stop further showings of the new film comedy "30-3", which they say denigrates Soviet cosmonauts. However a showing to the leadership is enjoyed by all, and they see no grounds for surpressing it. 1966 April 10 - . LV Family: Proton. Launch Vehicle: Proton-K.
Cosmonaut training for lunar flights announced - . Nation: Russia. Related Persons: Leonov. Program: Lunar L1. Class: Manned. Type: Manned spacecraft. Spacecraft Bus: Soyuz. Spacecraft: Soyuz 7K-L1. Leonov announces that cosmonauts are in training for lunar missions..
1966 June 21 - . Mishin asserts himself - . Nation: Russia. Related Persons: Anokhin, Burnazyan, Bykovsky, Frolov, Gagarin, Leonov, Makarov, Mishin, Nikolayev, Tyulin, Volkov. Program: Soyuz. Flight: Soyuz 1, Soyuz 2A, Soyuz s/n 3/4. Gagarin and Leonov visit Kamanin, who is on vacation at his dacha. They tell him of manoeuvres by Tyulin, Burnazyan, and Mishin in his absence. A VPK resolution will name crews for Soyuz missions that will consist of "invalid" engineers from OKB-1 (Anokhin, Frolov, Makarov, Volkov) instead of trained, flown cosmonauts (Gagarin, Nikolayev, Bykovsky). 1966 July 16 - . Cosmonaut meeting with Brezhnev - . Nation: Russia. Related Persons: Brezhnev, Gagarin, Leonov, Malinovskiy, Smirnov, Ustinov. Program: Soyuz. Brezhnev has finally agreed to meet with Gagarin, Leonov, and Kamanin on 28 or 29 July. Gagarin will be in Czechoslovakia on 25 July, and Leonov in Hungary; they'll have to be back by the 27th to prepare for the meeting. Kamanin holds no great hope for the outcome - the cosmonauts' desire to reorganize and reprioritise Soviet spaceflight will meet powerful opposition from Ustinov, Smirnov, and Malinovskiy. 1966 September 2 - . LV Family: Proton. Launch Vehicle: Proton-K.
Lunar flight cosmonauts assignments. - . Nation: Russia. Related Persons: Artyukhin, Beregovoi, Bykovsky, Dobrovolsky, Gagarin, Gorbatko, Grechko, Khrunov, Klimuk, Kolodin, Komarov, Kubasov, Leonov, Makarov, Nikolayev, Popovich, Rukavishnikov, Sevastyanov, Shatalov, Volkov, Voloshin, Volynov, Voronov, Yeliseyev, Zholobov. Program: Lunar L1. Class: Manned. Type: Manned spacecraft. Spacecraft Bus: Soyuz. Spacecraft: Soyuz 7K-L1. 1966 September 8 - . Cosmonaut tour to Syria - . Nation: Russia. Related Persons: Belyayev, Leonov. Program: Soyuz. 1966 October 12 - . Voskhod 3 resurfaces - . Nation: Russia. Related Persons: Gagarin, Komarov, Kuznetsov, Nikolai F, Leonov, Mishin, Ustinov. Program: Voskhod. Flight: Voskhod 3. Spacecraft Bus: Vostok. Spacecraft: Voskhod. 1967 January 17 - . 1967 March 22 - . L1 flight scenario undecided - . Nation: Russia. Related Persons: Gagarin, Kerimov, Leonov, Makarov, Mishin, Volynov. Program: Lunar L1. Flight: Soyuz 1, Soyuz 2A. Spacecraft Bus: Soyuz. Spacecraft: Soyuz 7K-L1. Gagarin and Leonov want Mishin cited in Soyuz crash report. - . Nation: Russia. Related Persons: Gagarin, Leonov, Mishin. Program: Soyuz, Lunar L1. Flight: Soyuz 1. Gagarin and Leonov meet with Kamanin. They discuss the complete inadequacy of Mishin - his excitability, poor knowledge of the Soyuz spacecraft and the details of its operation, his lack of cooperation in working with the cosmonauts in flight and training activities. They urge that these facts be documented in the Komarov crash commission report. Problems are discussed with getting an additional Tu-104 for zero-G/one sixth-G training. Three are needed, and only two have been made available. Even these two can only be used for 23 flights up to 10 August, after which they must be sent away for ejection seat modifications. 1967 August 27 - . Tass announces water landing exercises - . Nation: Russia. Related Persons: Leonov. Program: Lunar L1. Class: Manned. Type: Manned space station. Tass announces water landing exercises; Leonov involved..
1967 November 17 - . L1 cosmonauts to Baikonur. - . Nation: Russia. Related Persons: Leonov. Program: Lunar L1. Three VVS aircraft fly to Baikonur for the L1 launch. Passengers include Leonov and the 12 cosmonauts of the L1 training group..
1968 February 6 - . L1 commander assignments agreed. - . Nation: Russia. Related Persons: Bykovsky, Feoktistov, Leonov, Mishin, Popovich, Voloshin. Program: Lunar L1, Soyuz. The final medical report rejects Feoktistov's fitness to be a cosmonaut. Mishin accepts the findings of the report, but in classic manner ignores it and advocates Feoktistov be appointed as commander of the active spacecraft in the first Soyuz docking mission after return to flight. Kamanin is livid. Feoktistov has had years of training for EVA, but he has not had one day of training as a spacecraft commander, and now he wants him to command a mission due to launch in only two to three months! However agreement is finally reached on L1 commander assignments: Leonov, Bykovskiy, Popovich, Voloshin. Agreement is not reached on the second (civilian) crew member position for the flights. According to Mishin, the Soyuz and L1 flights planned from March 1 to the end of 1968 will require 16 to 18 crew members total. Cosmonaut Africa tour with secret objectives. - . Nation: Russia. Related Persons: Leonov, Tereshkova. Program: Lunar L1. Tereshkova is fighting against her appointment to the Committee of Soviet Women with the requirement for constant tours, appearances, committee sessions, and so on. He has gone to see Suslov about it. Meanwhile the Communist Central Committee and the Soviet Ministers are having a fight over the dates for the planned cosmonaut tour of Africa (the secret objective is to give the cosmonauts training in recognition of southern hemisphere constellations in preparation for lunar missions). Leonov is involved in sending mixed signals to the leadership. 1968 June 3 - . Ustinov demands manned Soyuz and L1 flights by October. - . Nation: Russia. Related Persons: Leonov, Ustinov. Program: Lunar L1, Soyuz. Spacecraft: Soyuz 7K-L1, Soyuz 7K-OK. Meanwhile Saturday evening Leonov had another accident with his Volga - and with a group of Italian visitors in the car..
1968 June 5 - . Leonov on the carpet. - . Nation: Russia. Related Persons: Leonov. Program: Lunar L1. Leonov is raked over the coals concerning his latest accident. In the first place, he had no permission to even be meeting with the Italians. In the second place, he was supposed to be chauffeured when in Moscow, not driving himself. In the third place, he was in training for an L1 lunar mission, and was supposed to be in bed by 23:00, instead of gallivanting around Moscow at all hours of the night. 1968 June 12 - . State Commission on Soyuz. - . Nation: Russia. 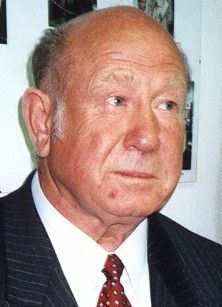 Related Persons: Leonov, Ustinov. Program: Soyuz. Spacecraft Bus: Soyuz. Spacecraft: Soyuz 7K-OK.
Mishin wants one more unpiloted Soyuz launch, resulting in a 0+1 unmanned/manned test flight in September, to be followed by the design 1+3 mission with crew transfer in November/December. The reserve chute failed in tests at an SA re-entry capsule mass of 2800 kg. Therefore, Mishin feels the 0+1 mission would be safe, resulting in a mass for the manned capsule of 2650 kg. But Ustinov insists on the 1+3 mission, meaning an SA mass of 2750 kg. Another consideration is that the capsule may need ballast anyway in order to obtain the correct centre of gravity location for the lifting re-entry manoeuvres. It must be balanced in such a way so that it can re-enter the atmosphere at its maximum 23 degree angle of attack. 1968 July 18 - . Cosmonaut revolt. - . Nation: Russia. Related Persons: Belyayev, Leonov, Nikolayev, Vershinin. The cosmonauts are revolting against the selection of Nikolayev as their commander. They have written a letter demanding that Belyayev be put in the position. Leonov is also lobbying for the job, but Kamanin notes he has made two serious mistakes since April, no chance. Leonov attends a self-criticism meeting with the 'Gagarin comrades', self-confesses and emotionally says he will leave the cosmonaut unit if there are no future chances for promotion due to his repeated mistakes. Finally he is told that if does good work in the future, he could achieve the deputy commander position, but he can never, never make mistakes again. A Zenit-2 spy satellite capsule has gone off course, splashed down in the Volga River, and sunk. Vershinin is in the hospital with intestinal polyps. Kamanin is reminded of Korolev's case, although he is told Vershinin's condition is not serious. There is criticism of the botched Zenit-2 recovery from Kutakhov. Meanwhile the Central Committee has decided to take no action on Czechoslovakia but send a letter to the Czech Communist Party. Kamanin is sick of this limp-wristed talk, talk, talk. 1968 September 23 - . L1 lunar crew selections - . Nation: Russia. Related Persons: Bykovsky, Leonov, Makarov, Mishin, Popovich, Rukavishnikov, Voronov. Program: Lunar L1, Soyuz. Spacecraft: Soyuz 7K-L1, Soyuz 7K-OK.
Meeting of VVS, Mishin, and other designers at Fedosiya to review trials of the improved Soyuz parachute system. The Soyuz is cleared for manned flights. Mishin tells Leonov he will not support him in his bid to make the first lunar flight. Kamanin tells Leonov that of the three crews - Leonov-Voronov, Bykovsky-Rukavishnikov, Popovich-Makarov - the Bykovsky crew is favoured. 1968 November 14 - . Zond 6 passes behind moon. - . Nation: Russia. Related Persons: Leonov, Mishin, Sevastyanov. Program: Lunar L1. Flight: Soyuz 7K-L1 mission 1. Spacecraft Bus: Soyuz. Spacecraft: Soyuz 7K-L1. The L1 went behind the moon at 05:49:37, and emerges at 06:21:11. At the time of the next orientation session it is 390,000 km from the earth and moving at 0.6 km/s. All orientations have been made on Sirius so far. Two more are needed: one for the midcourse correction, and then the second for the guided re-entry. The 100K sensor has proven itself despite Kamanin's doubts. Mishin's grumbly voice was grating on everyone, and finally he was put to bed. Kamanin despairs that the Soviet space program is dependent on this poorly organised, capricious, shortsighted man. Discussions are held with Moscow. If Apollo 8 succeeds, the next L1 test in January and the manned flight in April are probably not worth the risk. Some of the scientists want to discuss the inclusion of new medical experiments on pending manned spaceflights, but Kamanin is opposed to it. He does not want anything interfering with the primary mission. What to name the manned L1 spacecraft is discussed. Leonov wants to call it Rodina, Sevastyanov Ural, and Kamanin - 'Academician Korolev'. Soyuz 7K-L1 mission 1 (cancelled) - . Crew: Leonov, Makarov. Backup Crew: Kuklin. Nation: Russia. Program: Lunar L1. Flight: Soyuz 7K-L1 mission 1. Spacecraft Bus: Soyuz. Spacecraft: Soyuz 7K-L1. Planned first manned circumnavigation of the moon. Soviet plans to beat America around the moon were upstaged by the sudden decision to fly Apollo 8 into lunar orbit over Christmas 1968. It was decided after the American success to cancel any 'second place' Soviet manned circumlunar flights. 1970 February 8 - . Leonov wants to send letter to Brezhnev - . Nation: Russia. Related Persons: Brezhnev, Grechko, Andrei, Keldysh, Krylov, Leonov, Mishin, Serbin, Smirnov, Ustinov, Zakharov. Work continues at the Gagarin Centre even on Sundays. Kamanin studies the reorganization of space units within the Ministry of Defence. Leonov wants to write a letter to Brezhnev, complaining about the management of the space programme. He wants to finger Mishin, Keldysh, Sminrov, Serbin, Ustinov, Krylov, Zakharov, and Grechko by name. Kamanin asks him -- can all the cosmonauts write to the head of state whenever they want? Who will protect them from the inferno of backlash that would result? He doesn't support Leonov's idea. 1970 March 19 - . Cosmonaut tours - . Nation: Russia. Related Persons: Leonov, Shatalov. Leonov is going on a propaganda tour to Japan, and Shatalov to Cuba..
1970 April 29 - . Intrigues at Star City. - . Nation: Russia. Related Persons: Beregovoi, Kuznetsov, Nikolai F, Leonov. Leonov is briefed for his trip to Japan. Meanwhile Kamanin has to fight off the intrigues of Kuznetsov against Beregovoi as deputy director of cosmonaut training..
1970 June 19 - . Landing of Soyuz 9 - . Nation: Russia. Related Persons: Goreglyad, Leonov, Mishin, Nikolayev, Sevastyanov, Shatalov, Yeliseyev. Program: Soyuz. Flight: Soyuz 9. Spacecraft Bus: Soyuz. Spacecraft: Soyuz 7K-OK.
At 13:00 it was reported that the landing site was ready, 12 to 15 km visibility, 5-7 m/s winds. At 14:00 it is officially ordered that the landing commence. There are 150 technicians in the hall of mission control for the landing. Nikolayev reports the start of the retrofire burn of the TDU. Retrofire and seperation of the spacecraft modules is normal. The PVO radar at Turtsiy picks up the Soyuz at 83 km altitude and follows it down to the point of parachute deployment. Two helicopters sight the parachute and follow the capsule to landing. Within a minute after the capsule has landed General Goreglyad and Colonel Popov are already at the hatch. Following landing Leonov advises that the crew is all right. However the cosmonauts' condition after landing is awful. It is painful and difficult for them to get up. They fall down in their first tortured attempts at walking. They have to be dragged along by the arms. At 16:30 an Il-18 leaves from Saki for Moscow with the cosmonauts aboard. Both of the cosmonauts looked very ill aboard the plane. They had to be supported by Shatalov and Yeliseyev to get down the stairs in Moscow. Nikolayev departs from his prepared speech to the Sate Commission, and says 'Comrade Chairman! The orders for flight aboard the spacecraft Soyuz 9 were fulfilled and we await further orders!' After the report hey are rushed to the doctors. It is obvious to the Soviets that they were seriously mistaken about the effects of zero-G on human beings (Mishin thought flights of three to four months would be no problem). Kamanin recites again his belief in the need for more long solo Soyuz flights, how the leadership has blocked such flights, and the general lack of support for manned space. He even had to fight to allow the Soyuz 9 crew to go straight to the hospital and their loved ones, rather than attending ceremonies. 1971 January 15 - . Spiral to be raised at VVS Soviet. - . Nation: Russia. Related Persons: Leonov, Nikolayev, Zakharov. Spacecraft Bus: Spiral 50-50. Spacecraft: Spiral OS. Kamanin manges to get to Zakahrov, who agrees to take the Spiral issue to the Military Soviet of the VVS. Leonov and Nikolayev review Kamanin's new draft decree to be presented to he Military Soviet. The DOS-7K is two weeks behind schedule for the planned 15 March launch date. DOS training conflicts. - . Nation: Russia. Related Persons: Beregovoi, Leonov, Mishin, Shatalov. Program: Salyut. Spacecraft: Salyut 1, Soyuz 7KT-OK.
Beregovoi, Leonov, and Shatalov go to TsKBEM to review the training plan for the DOS-7K station at the KIS (Experimental Control Station) facility. Mishin wants the crew of Soyuz s/n 32 to be working aboard the 'live' spacecraft on 3-4 February, but they need to be at the cosmodrome on those dates for training on the Svinets ICBM detector experiment. This conflicts with Mishin's schedule for availability of a 'live' Soyuz for training. Mishin still wants, completely unrealistically, to launch on the day of the 24th Party Conference. 1971 February 3 - . First Svinets test successful. - . Nation: Russia. Related Persons: Leonov. Program: Salyut. Spacecraft Bus: Almaz. Spacecraft: Salyut 1. Leonov reports that the Tu-104 was ready last night for the flight to observe a rocket launch using the Svinets device. All went normally. The second launch will be made tonight at 20:00..
1971 February 17 - . Management plans for Gagarin Cosmonaut Centre jeopardised. - . Nation: Russia. Related Persons: Belyayev, Leonov, Mishin. Management of TsPK is in question due to intrigues by Mishin and his allies within the VVS. After the death of Belyayev it was committed that Leonov would become head of the First Directorate of TsPK. This is now in doubt..
1971 April 22 - . 23:54 GMT - . Launch Site: Baikonur. Launch Complex: Baikonur LC1. LV Family: R-7. Launch Vehicle: Soyuz 11A511. Soyuz 10 - . Call Sign: Granit (Granite ). Crew: Rukavishnikov, Shatalov, Yeliseyev. Backup Crew: Kolodin, Kubasov, Leonov. Support Crew: Dobrovolsky, Patsayev, Volkov. Payload: Soyuz 7K-OKS s/n 31. Mass: 6,800 kg (14,900 lb). Nation: Russia. Agency: MOM. Program: Salyut. Class: Manned. Type: Manned spacecraft. Flight: Soyuz 10. Spacecraft Bus: Soyuz. Spacecraft: Soyuz 7KT-OK. Duration: 1.99 days. Decay Date: 1971-04-24 . USAF Sat Cat: 5172 . COSPAR: 1971-034A. Apogee: 258 km (160 mi). Perigee: 209 km (129 mi). Inclination: 51.60 deg. Period: 89.10 min. Intended first space station mission; soft docked with Salyut 1. Launch nearly scrubbed due to poor weather. Soyuz 10 approached to 180 m from Salyut 1 automatically. It was hand docked after faillure of the automatic system, but hard docking could not be achieved because of the angle of approach. Post-flight analysis indicated that the cosmonauts had no instrument to proivde the angle and range rate data necessary for a successful manual docking. Soyuz 10 was connected to the station for 5 hours and 30 minutes. Despite the lack of hard dock, it is said that the crew were unable to enter the station due to a faulty hatch on their own spacecraft. When Shatalov tried to undock from the Salyut, the jammed hatch impeded the docking mechanism, preventing undocking. After several attempts he was unable to undock and land. Soyuz 12 / DOS 1 (cancelled) - . Crew: Kolodin, Leonov, Rukavishnikov. Backup Crew: Gubarev, Sevastyanov, Voronov. Nation: Russia. Program: Salyut. Flight: Soyuz 12 / DOS 1. Spacecraft Bus: Soyuz. Spacecraft: Soyuz 7KT-OK. If the Soyuz 11 crew had not perished during return to the earth, a second crew would have been sent to the Salyut 1 space station. Further missions to Salyut 1 were cancelled after the disaster..
Soyuz 12 / DOS 2 (cancelled) - . Crew: Kubasov, Leonov. Backup Crew: Lazarev, Makarov. Support Crew: Grechko, Gubarev. Nation: Russia. Program: Salyut. Flight: Soyuz 12 / DOS 2. Spacecraft Bus: Soyuz. Spacecraft: Soyuz 7K-T. Planned first mission to the Salyut DOS 2 space station. Cancelled after it was destroyed during launch..
Soyuz 12 / DOS 3 (cancelled) - . Crew: Kubasov, Leonov. Backup Crew: Lazarev, Makarov. Support Crew: Grechko, Gubarev. Nation: Russia. Program: Salyut. Flight: Soyuz 12 / DOS 3. Spacecraft Bus: Soyuz. Spacecraft: Soyuz 7K-T. Planned first mission to the Salyut DOS 3 space station (Cosmos 557). Cancelled after it failed in orbit..
1975 July 15 - . 12:20 GMT - . Launch Site: Baikonur. Launch Complex: Baikonur LC1. LV Family: R-7. Launch Vehicle: Soyuz-U. Soyuz 19 (ASTP) - . Call Sign: Soyuz (Union ). Crew: Kubasov, Leonov. Backup Crew: Filipchenko, Rukavishnikov. Support Crew: Andreyev, Dzhanibekov, Ivanchenkov, Romanenko. Payload: Soyuz ASTP s/n 75 (EPSA). Mass: 6,790 kg (14,960 lb). Nation: Russia. Agency: MOM. Program: ASTP. Class: Manned. Type: Manned spacecraft. Flight: Apollo (ASTP), Soyuz 19 (ASTP). Spacecraft Bus: Soyuz. Spacecraft: Soyuz 7K-TM. Duration: 5.94 days. Decay Date: 1975-07-21 . USAF Sat Cat: 8030 . COSPAR: 1975-065A. Apogee: 220 km (130 mi). Perigee: 186 km (115 mi). Inclination: 51.80 deg. Period: 88.50 min. Soyuz 19 initial orbital parameters were 220.8 by 185.07 kilometres, at the desired inclination of 51.80�, while the period of the first orbit was 88.6 minutes. On 17 July the two spacecraft docked. The crew members rotated between the two spacecraft and conducted various mainly ceremonial activities. Leonov was on the American side for 5 hours, 43 minutes, while Kubasov spent 4:57 in the command and docking modules. After being docked for nearly 44 hours, Apollo and Soyuz parted for the first time and were station-keeping at a range of 50 meters. The Apollo crew placed its craft between Soyuz and the sun so that the diameter of the service module formed a disk which blocked out the sun. After this experiment Apollo moved towards Soyuz for the second docking. Three hours later Apollo and Soyuz undocked for the second and final time. The spacecraft moved to a 40 m station-keeping distance so that an ultraviolet absorption experiment could be performed. With all the joint flight activities completed, the ships went on their separate ways. 1975 July 21 - . Landing of Soyuz 19 (ASTP) - . Return Crew: Kubasov, Leonov. Nation: Russia. Related Persons: Kubasov, Leonov. Program: ASTP. Flight: Apollo (ASTP), Soyuz 19 (ASTP). Soyuz 19 landed safely at 10:51 GMT, 87 km north-east of Arkalyk, 9. 6 km from its aim point..